It’s time to amend the NPT to bring India and Pakistan into the fold as nuclear weapons states. The Nuclear Nonproliferation Treaty (NPT) came into force in 1970. It became the bedrock of the global nonproliferation and disarmament regime due to its near universal membership. The NPT was envisaged as a comprehensive treaty that addressed issues including nonproliferation, disarmament and peaceful uses of nuclear energy. However, the NPT has been largely unsuccessful in making any progress toward disarmament. A successful disarmament treaty would have to be preceded by an effective arms control mechanism; that in turn demands an acceptable level of trust between all of the nuclear weapon states (NWS), inside or outside of the NPT. To instill such confidence and to facilitate any purposeful negotiations on disarmament, it is essential that the NPT is amended to include NWS outside of the NPT into the treaty as recognized NWS. Most of the nuclear weapon states are adversaries of each other and use nuclear weapons as a deterrent. Any technological advancement by one state is bound to elicit a response by their perceived adversary, albeit within the confines of their technological prowess. The dynamics between the United States and Russia, the United States and China, the United States and North Korea, India and China, and India and Pakistan exemplify such contentious relationships. The expected U.S. withdrawal from the 1987 U.S.-Soviet Union Intermediate-Range Nuclear Forces (INF) treaty, uncertain extension of the New START treaty, development of nuclear-capable hypersonic weapons and underwater drones by Russia, development of Pakistani tactical nuclear weapons, and rapid modernization of nuclear arsenals by every nuclear weapon state are some very recent developments that have the potential to further accentuate tensions between these nations. Currently, there are four known NWS outside of the NPT: India, Israel, North Korea, and Pakistan. Considering that Israel practices a policy of nuclear opacity and North Korea is currently negotiating the status of its nuclear weapons program, either of these countries cannot be considered for inclusion into a reformed NPT unless they declare themselves as a NWS and express no intention of unilaterally disarming. That leaves India and Pakistan as the only non-NPT NWS that can be realistically included in the reformed NPT. India and Pakistan have often criticized the NPT as discriminatory, with an Indian diplomat once famously lamenting that the NPT had led to “nuclear apartheid.” Both countries initiated their indigenous nuclear programs and tested nuclear weapons in 1998. 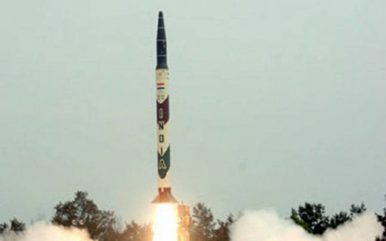 It’s been 20 years since, and both India and Pakistan have fast growing nuclear arsenals and have developed everything from tactical ballistic missiles to MIRVs to ICBMs. Furthermore, the world has come to terms with South Asian nuclear weapons and no one expects either India or Pakistan to disarm unilaterally anymore. Bringing them into the fold of the NPT would formalize the accepted reality and push both nations to become responsible stakeholders in global nuclear disarmament discussions. Additionally, frequent bilateral and multilateral communication between adversaries can help soothe concerns and misjudgments regarding their nuclear weapon capabilities and their command and control structures. The NPT NWS have a formal mechanism to engage in multilateral discussions on disarmament issues at the NPT Review Conferences and can pursue bilateral discussions to determine relevant confidence-building measures. However, such an opportunity for multilateral participation is not afforded to the NWS outside of the NPT. Due to the risk of violating Article 1 of the NPT, experienced NWS are circumspect in sharing their best practices regarding nuclear command and control structures with their non-NPT counterparts. As India and China develop and become more assertive in their shared region, it is crucial for them to engage in frequent dialogues and initiate confidence-building measures to minimize any scope for miscalculation. The inequity in their NWS status has prevented India and China from initiating a formal bilateral nuclear discussion. Similarly, given the historically tense India-Pakistan relationship, engaging at a multilateral forum can provide an alternative platform to discuss nuclear issues away from the shadow of their acrimonious bilateral relationship. By adopting the Treaty on the Prohibition of Nuclear Weapons in 2017, the UN General Assembly effectively repudiated the NPT for its inability to make any real progress on universal disarmament. The fact that successive NPT Review Conferences have discussed disarmament without representation from a quarter of the world’s NWS probably explains the lack of any reasonable progress on the issue. Engaging in comprehensive discussions on disarmament with participation from all the stakeholders would only strengthen the NPT regime and reinforce the commitment of the NWS towards disarmament. Institutions that don’t evolve to reflect realities of the time end up losing their relevance. Reforms to such legacy institutions will not come easy and negotiations will take a long time to conclude. If implemented, amendment of the NPT would represent a monumental modification in the nonproliferation structure that has governed the world for the last 50 years. Extensive, constructive and proactive deliberations will allow a reformed NPT to take shape, inspire confidence, build credibility and mature into a strengthened version of its previous self. Saurabh Todi is a graduate research assistant at the James Martin Center for Nonproliferation Studies in Monterey, California. Much Ado About Iran's Low-Enriched UraniumChina Won’t Join the INF Treaty—But Can It Forever Dodge Arms Control?Trump’s Missile Defense Review Will Be Read Closely in ChinaBook Review: Indian Nuclear PolicyThe New Nuclear Normal in North Korea?